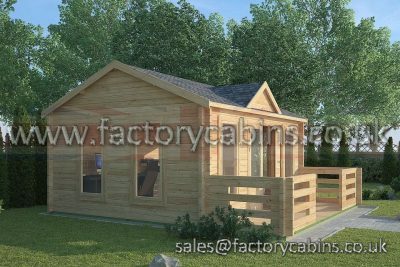 The Country Range is one of the most diverse collections we have on offer at Factory Cabins. 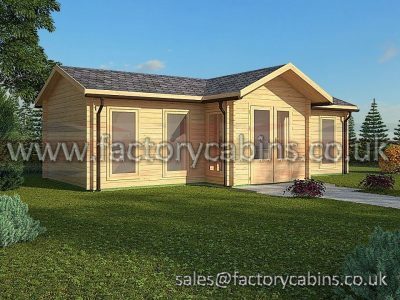 From compact garden offices to spacious summer houses with plenty of exterior space for relaxing in the sun, every cabin in this range is built with quality as the first priority so you’re free to explore and find those that meet your exact needs. 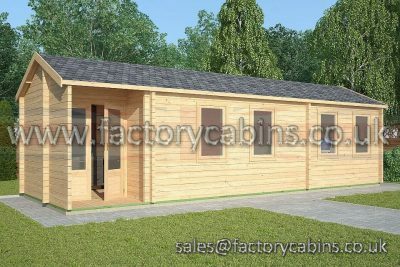 We have cabins in this range with and without exterior decks, with one or multiple doors, with any number of windows to provide natural light, and plenty of options besides. 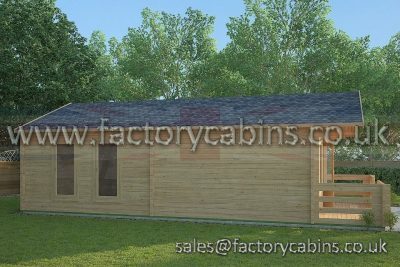 Take a look at the range but don’t hesitate to get in touch if you need help finding the perfect cabin for you. 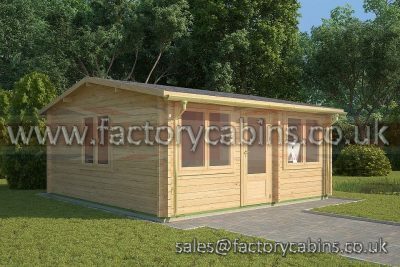 While the Country Range offers you plenty of choice, one thing you never have to compromise is quality. 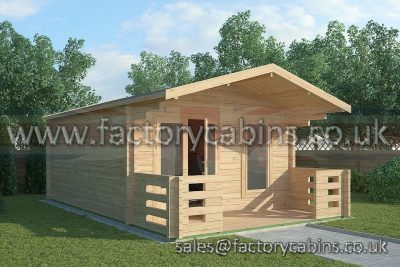 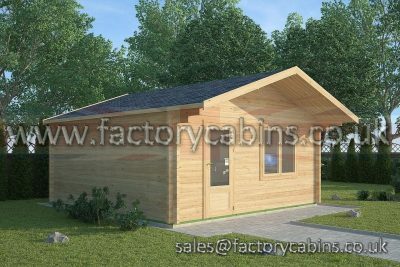 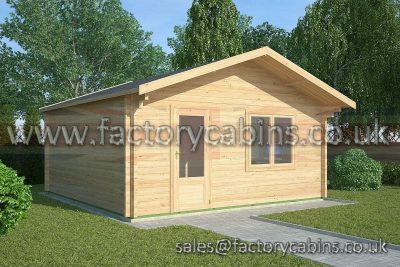 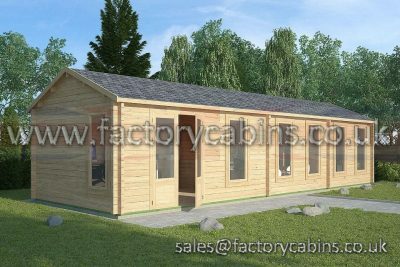 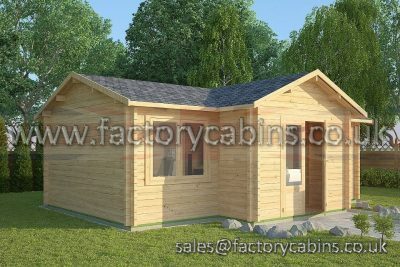 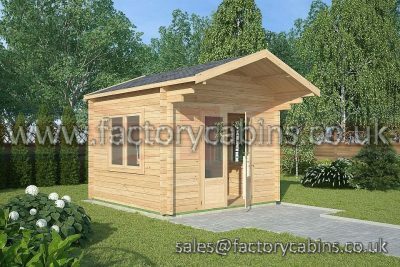 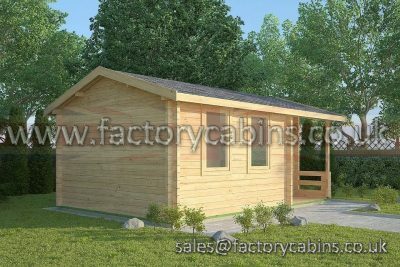 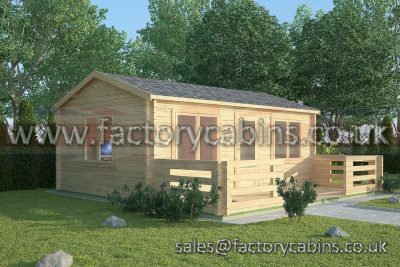 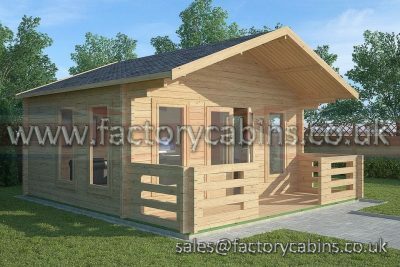 All these cabins are built using the highest quality of Siberian Pine. 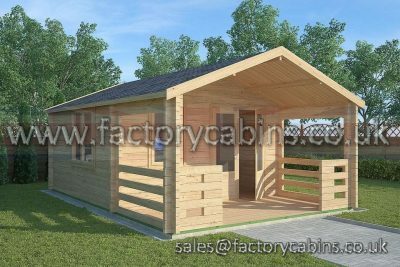 This softwood is not only long-lasting, sturdy, and attractive to look at, but is also highly resistant to both moisture and rot. 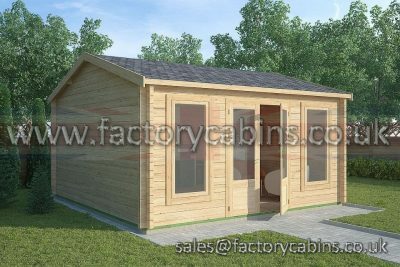 Complemented by the double glazing on all cabins in this range with wall thickness above 40mm, this ensures that your cabin stays standing for longer and always provides a comfortable interior experience. 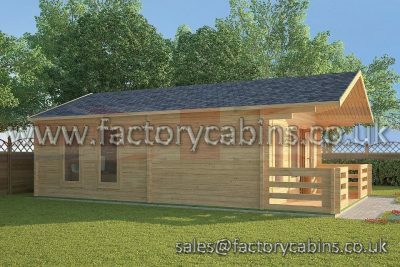 Regardless of which cabin you choose, we offer plenty of customization options to help make it a perfect fit for you. 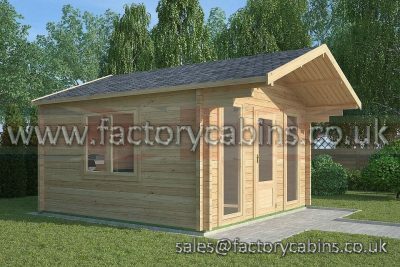 Your choice of roofing, insulation, tilt and turn windows and wall thicknesses between 40mm and 70mm (as well as twin skin) ensure that your cabin can meet every single one of your needs. 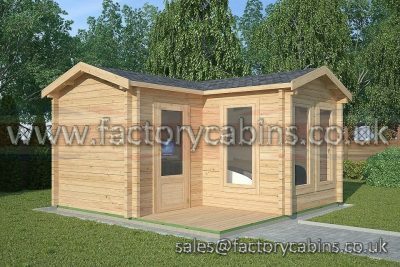 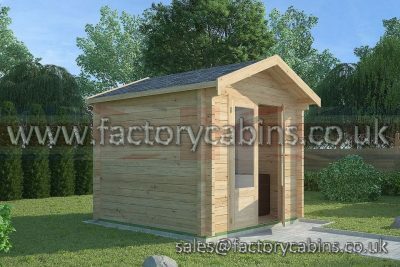 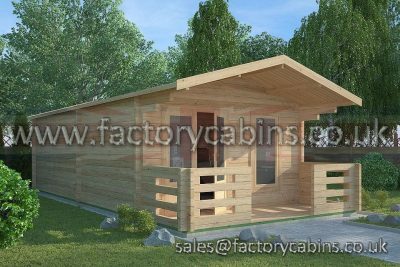 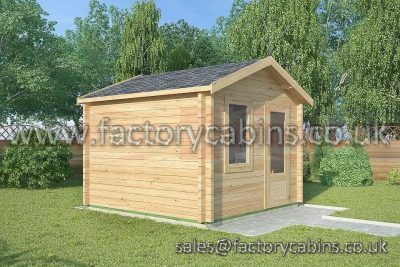 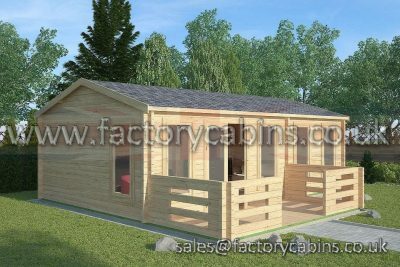 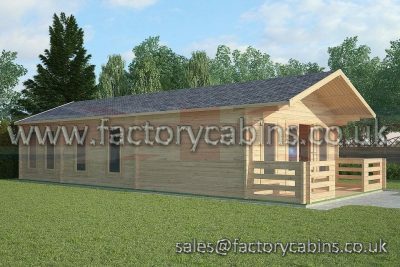 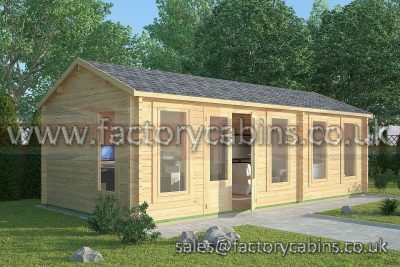 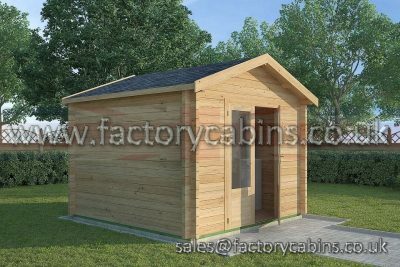 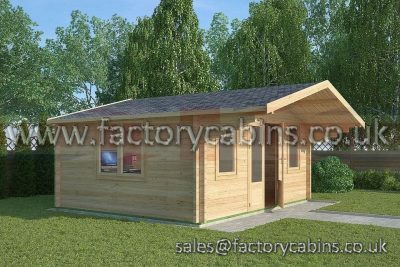 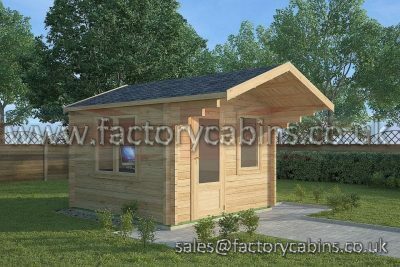 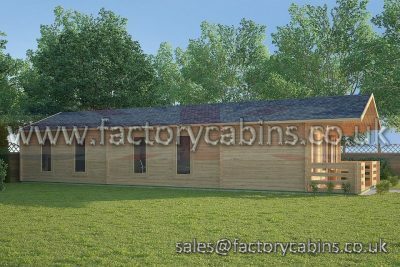 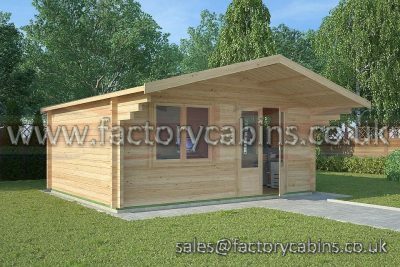 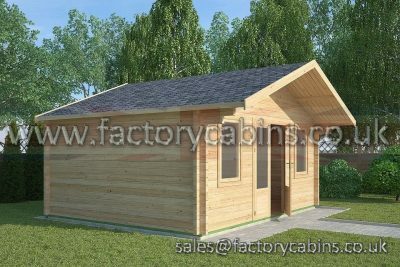 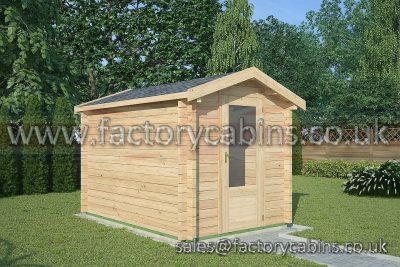 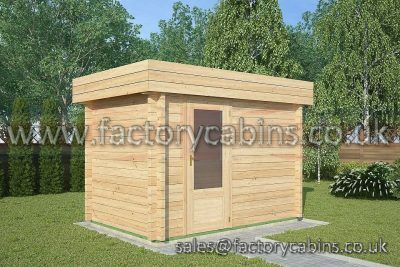 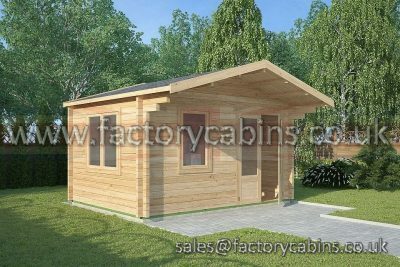 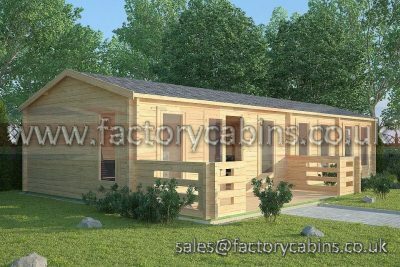 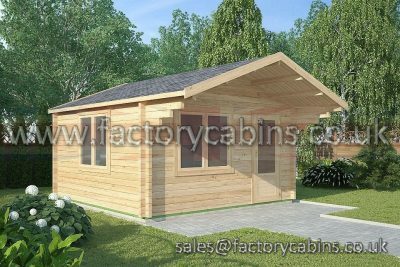 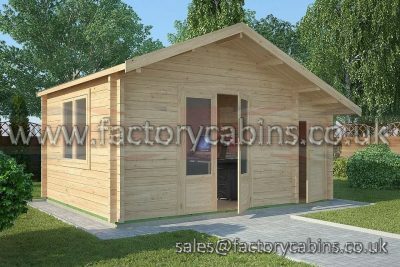 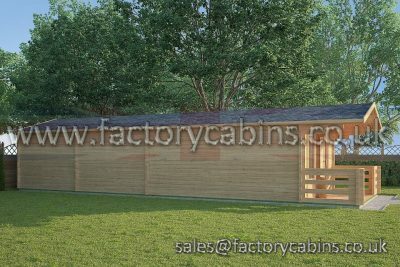 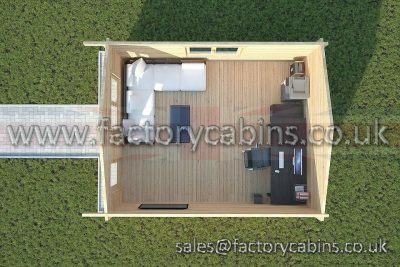 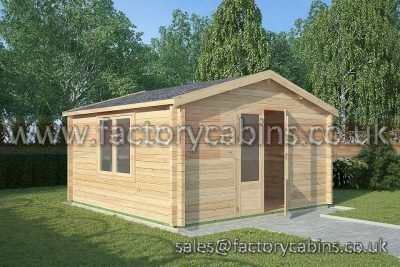 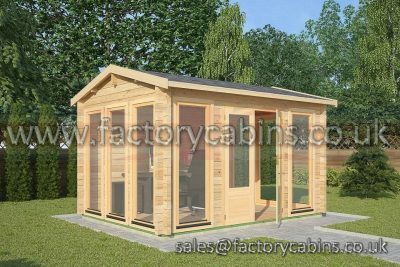 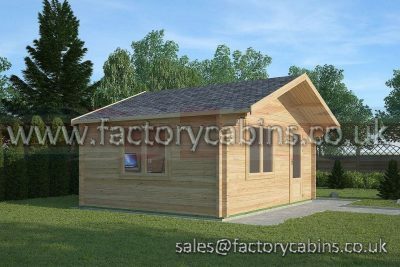 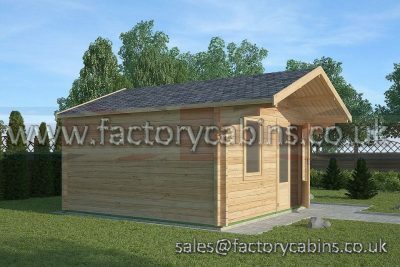 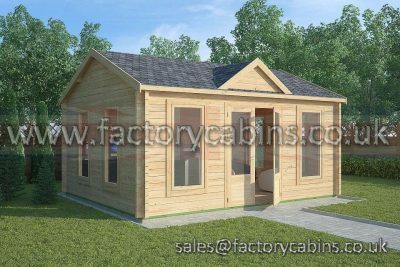 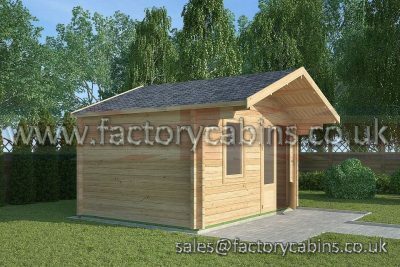 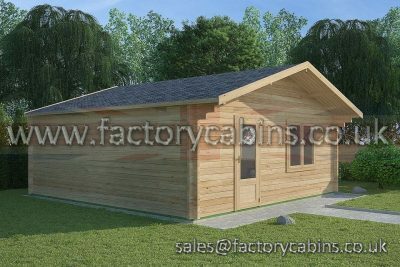 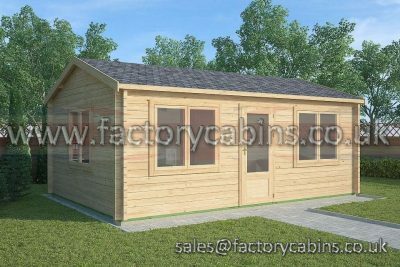 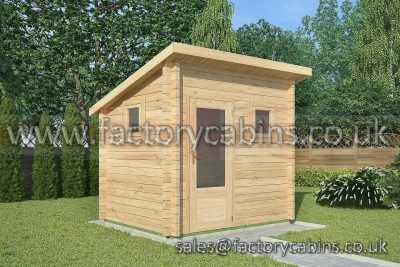 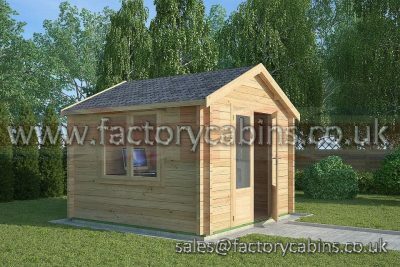 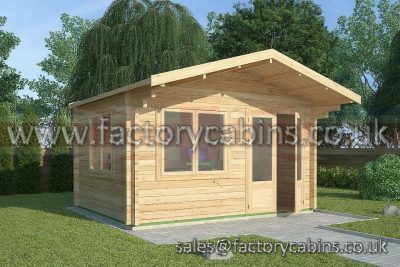 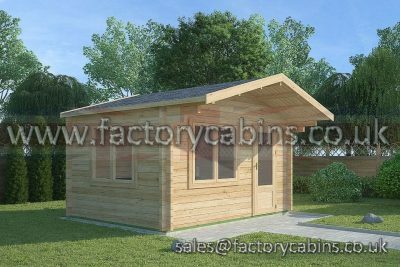 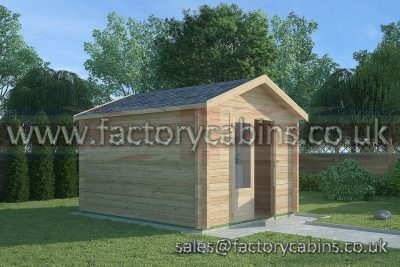 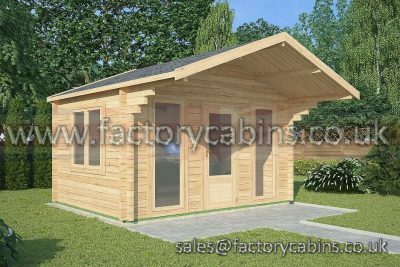 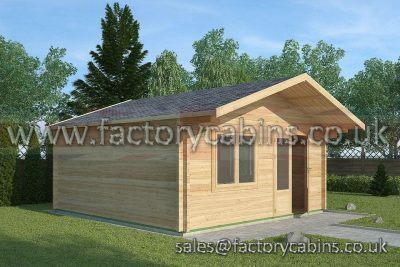 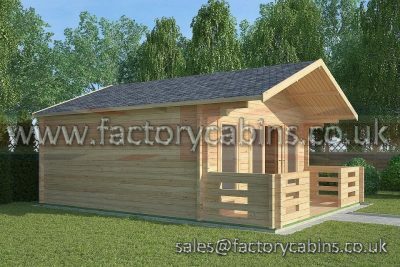 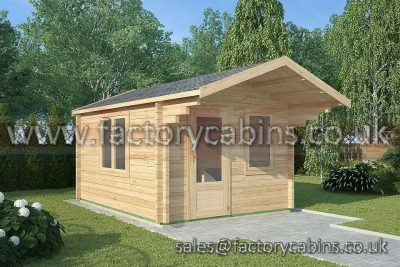 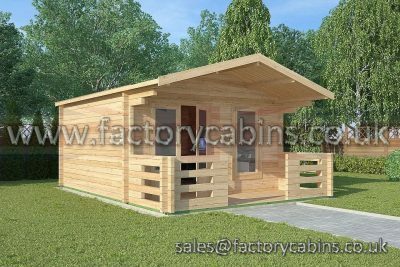 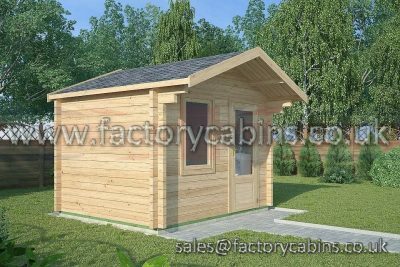 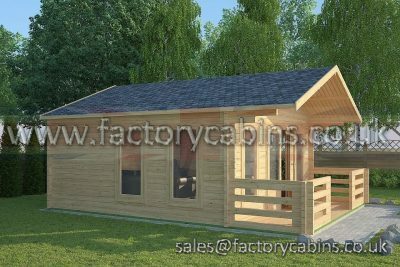 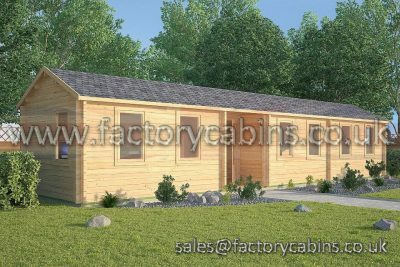 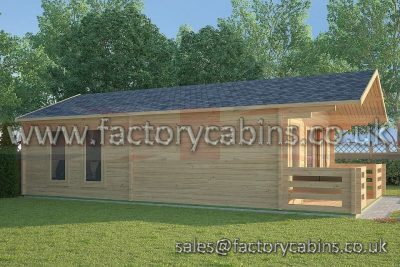 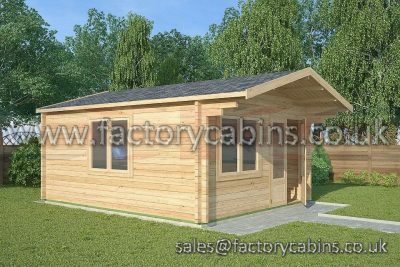 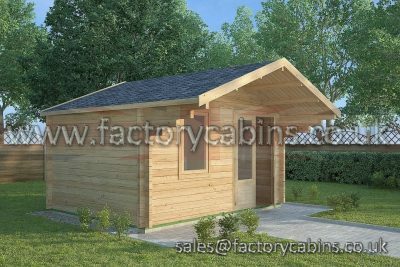 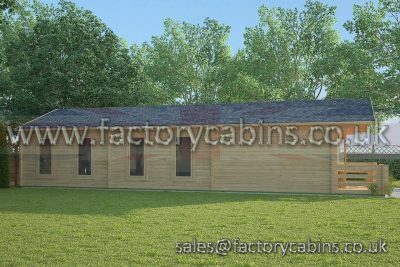 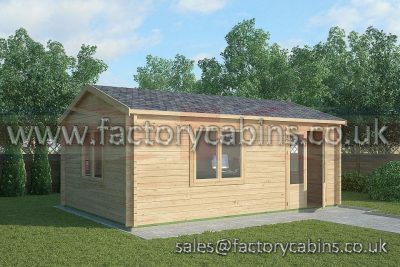 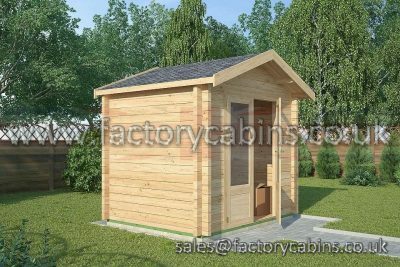 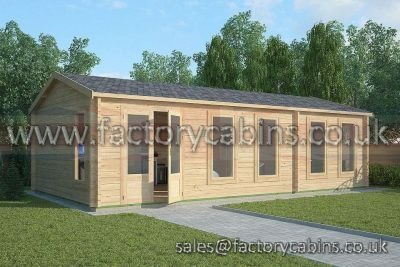 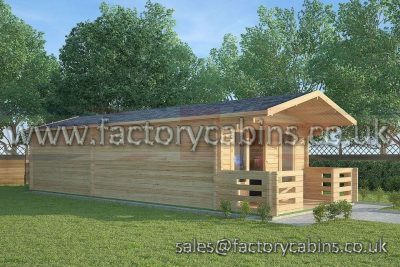 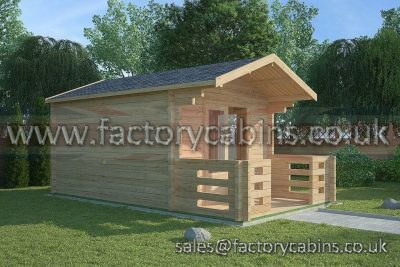 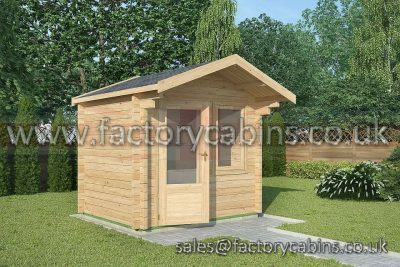 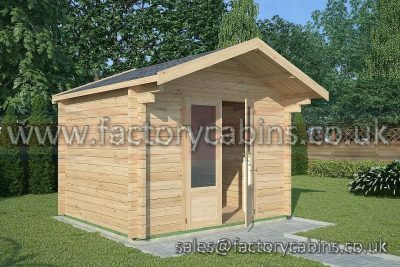 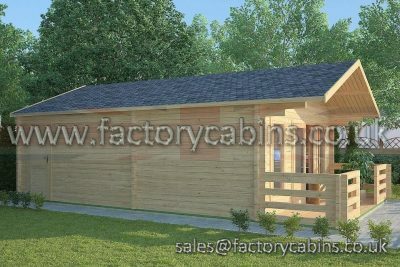 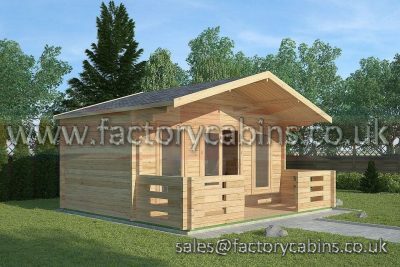 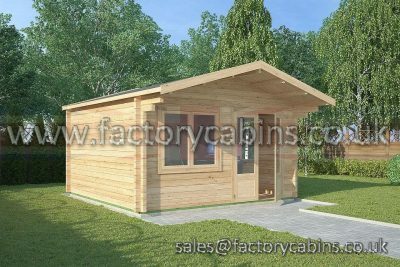 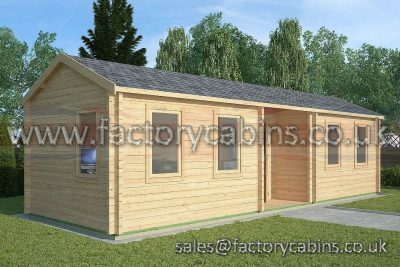 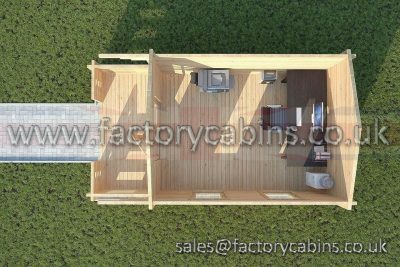 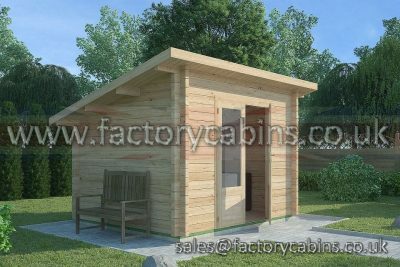 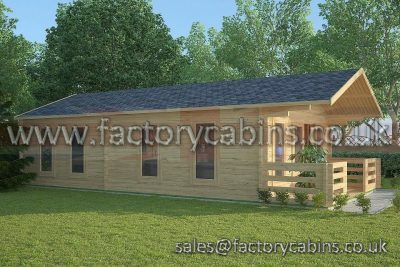 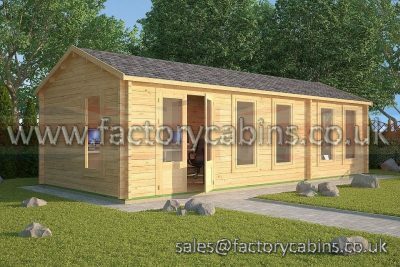 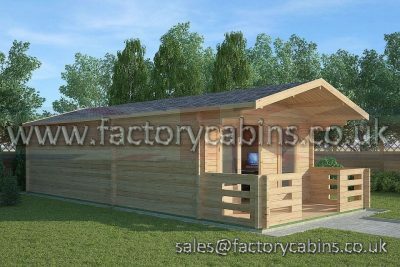 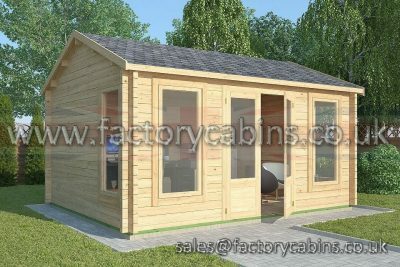 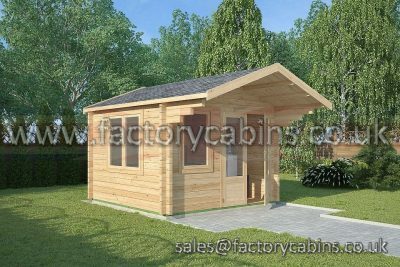 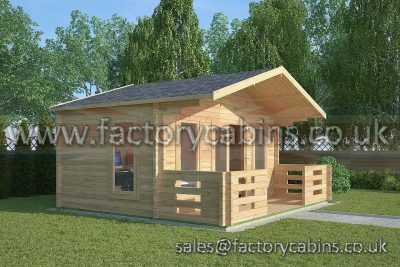 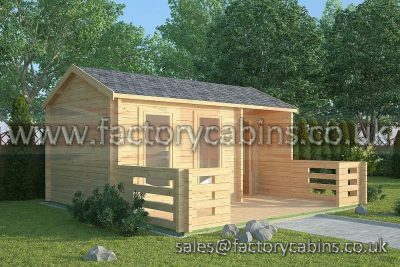 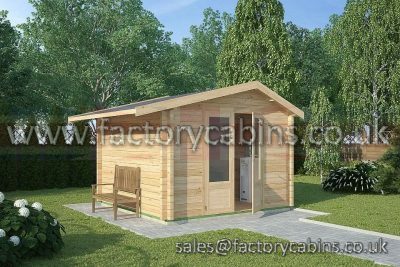 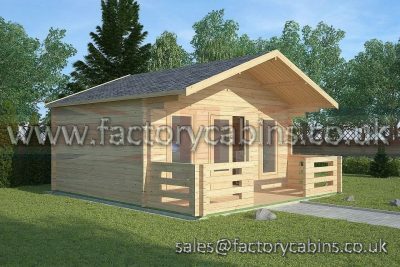 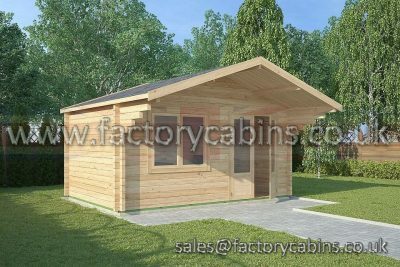 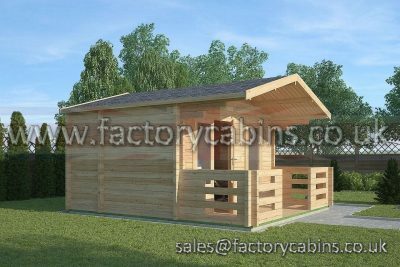 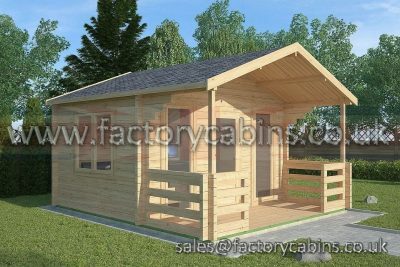 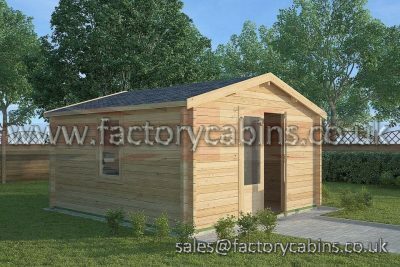 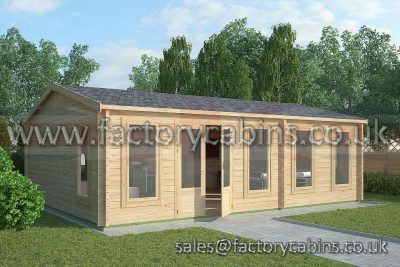 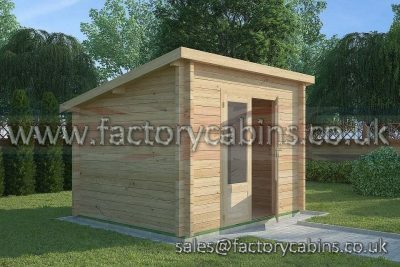 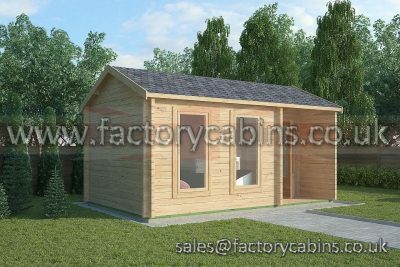 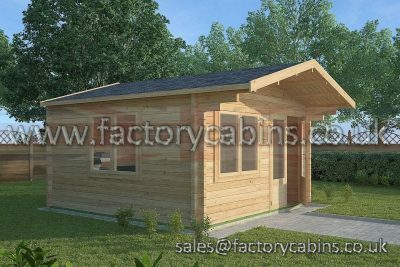 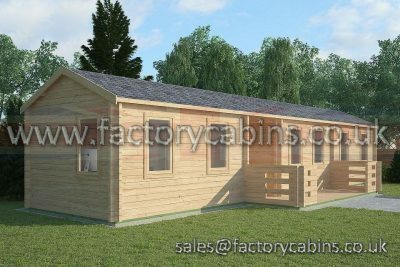 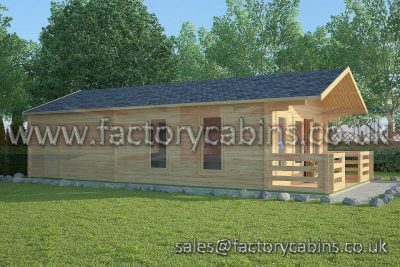 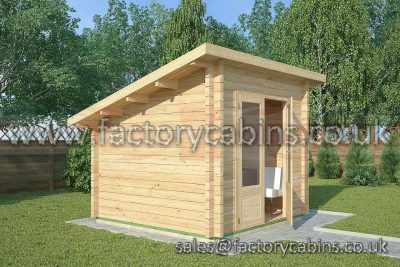 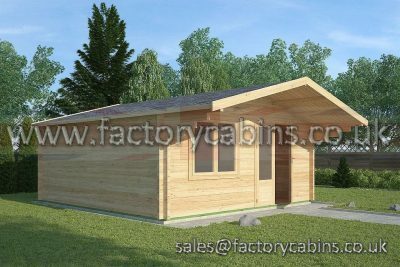 Besides helping you find and customise the perfect cabin for your needs, at Factory Cabins, we believe in offering a little extra. 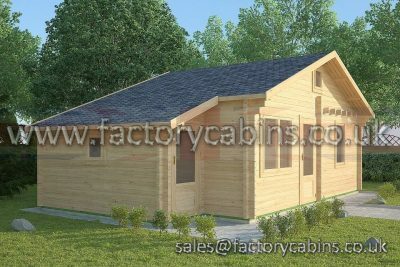 This includes taking care of the installation process for you. 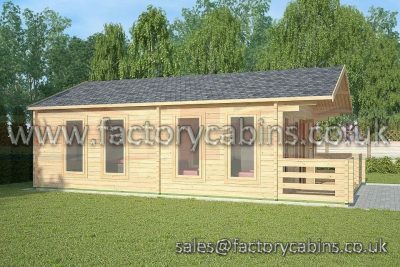 You don’t have to deal with the stress of building, we take care of it ourselves. 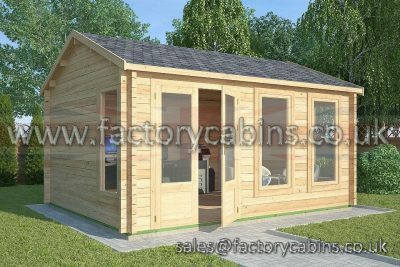 All you have to do is let us know you need installation and we can get it built in no time. 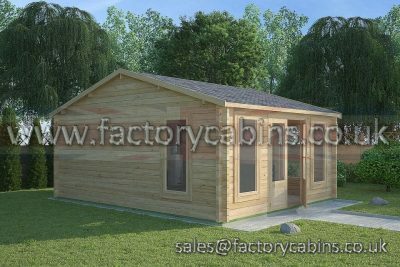 If you have any questions, want to find out more about the Country Range, or simply need help choosing your perfect cabin, call Factory Cabins at 01452 223591. 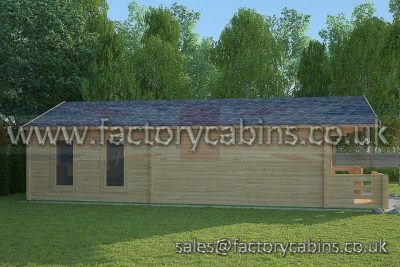 Besides exploring the range on this webpage, you can also come and visit us at Tewkesbury, where we have cabins from multiple ranges ready-built so you can see and feel the quality yourself.